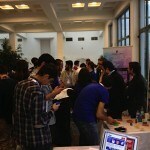 I was lucky enough to be part of today’s DevFest, Istanbul. 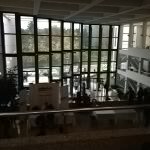 This saw around 3,000 people descend on the University and take over one of its buildings (complete with large lecture theatres) for a one day software conference. An army of volunteers in blue teeshirts made the event run very smoothly and there was a free swag bag for every attendee. The conference was sponsored so it was actually free to attend. There were 4 tracks running continuously through the day on a wide range of topics including Cloud, GWT, Android, HTML5, Closure, Google Glass, MongoDB, Jelastic, WebGL, Linux, Selanium and more. 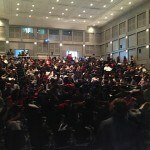 I did my talk on HTML5, NetBeans and SVG to a packed 500 seat theatre (view slides). The cast of speakers was international with guests from as far away as America flying in to speak. 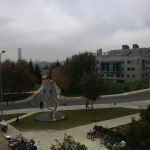 Talks were in Turkish or English. 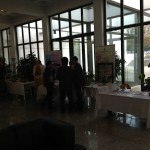 There was also a hackathon running and several exhibitors stands with companies showing off their products and running competitions. 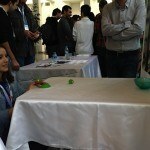 The one involving Angry Birds and the chance to win an IPad was very popular. A 3D printer was being demonstrated and there we even a bookstore. 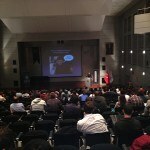 There was a real buzz about the event and there are a lot of young, very computer-literate people in Turkey with big dreams. 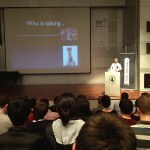 Turkey is going to be a major player in Software within a few years, so make sure it features in your plans. The people are very friendly and interested and I made some new friends. After the conference there was a speakers dinner and a chance to meet each other after a very busy day. The day packed in a great deal of activity. Here are some photos I took to give you a feel for the event. 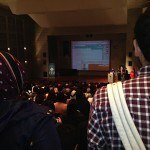 The conference was an excellent event and I am sure that the organisers will be organising some future events. I would be delighted to attended and strongly recommend it. And if you do travel, consider yesterday’s article about arriving a day early to see the sites. Everyone was so friendly… I hope you had as much fun as I did. What did you think of the day? 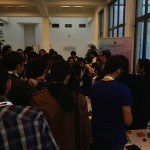 There is actually another DevFest event this weekend if you missed out last weekend….